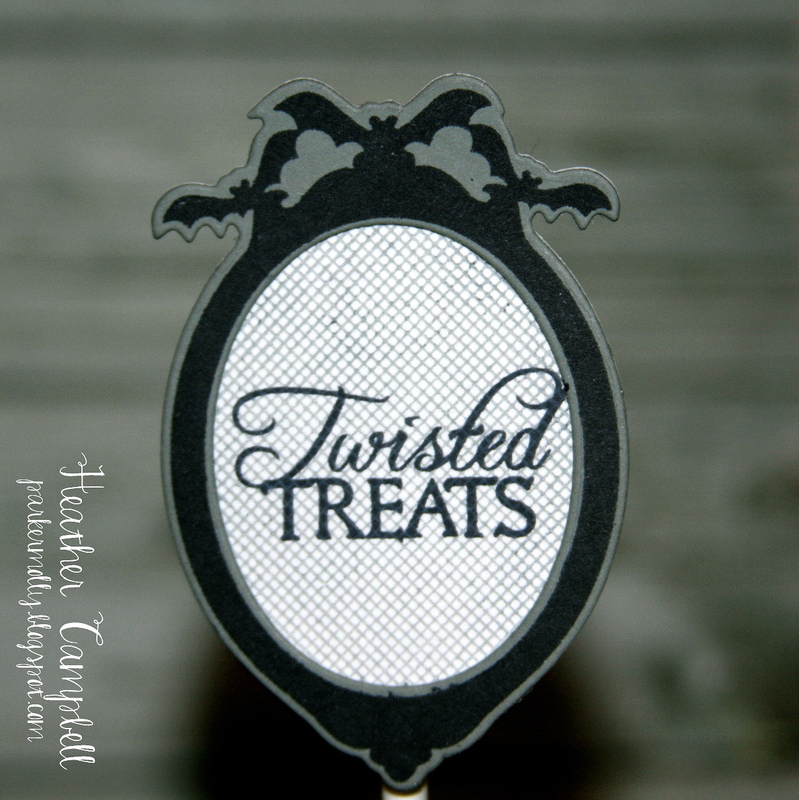 Today we have Heather with this cute Twisted Treats party scene. 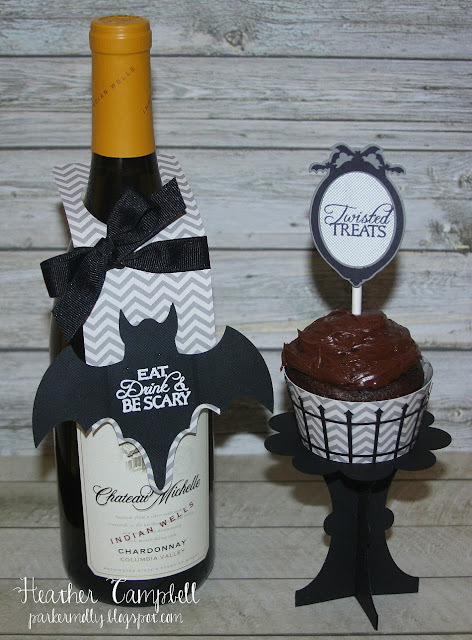 I LOVE the bat frame cupcake toppers and the The Eat, Drink and Be Scary wine tag is too cute! 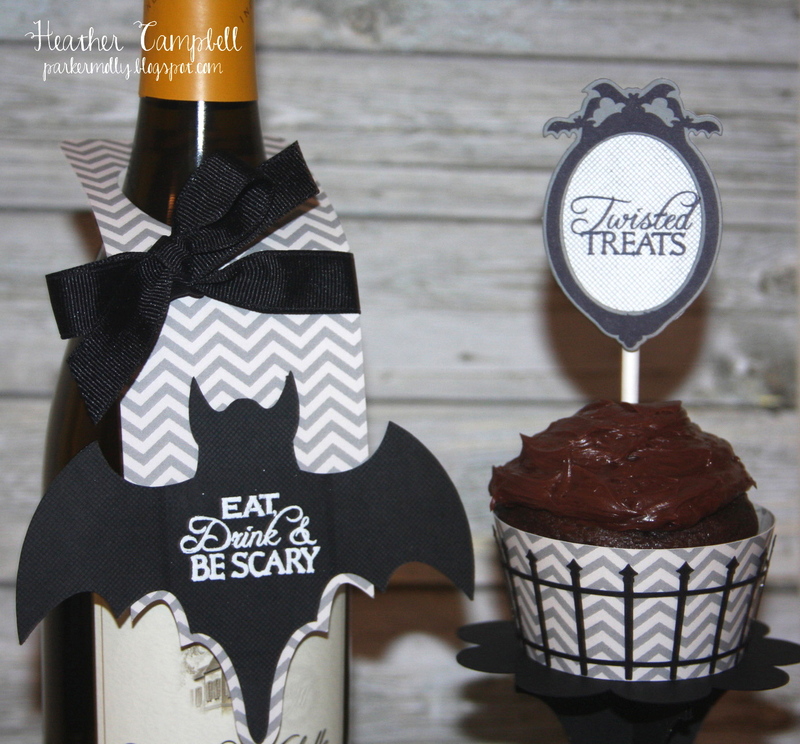 I will definitely be making some of these this year. 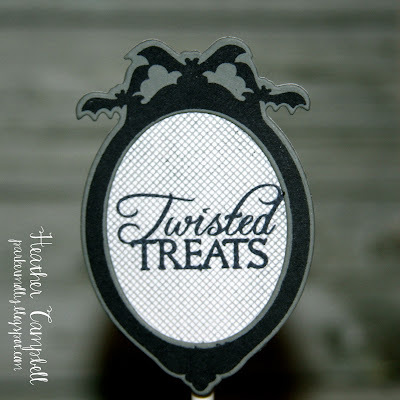 Great projects...perfect for Halloween treats! 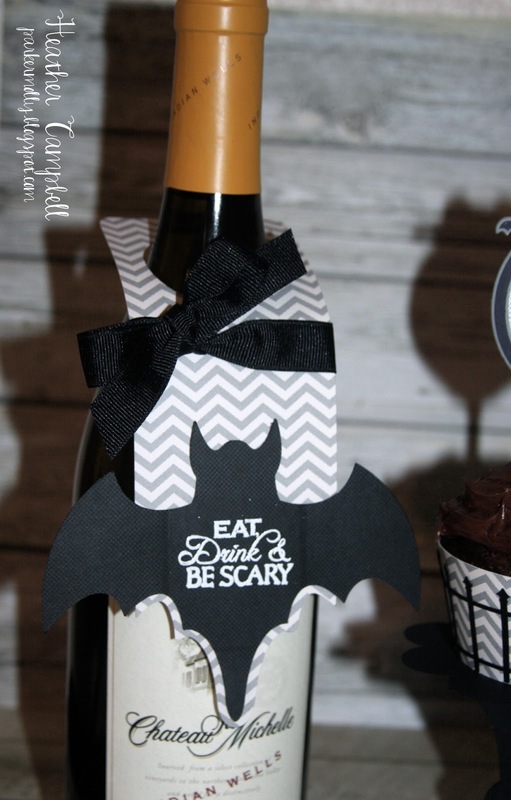 I love the mix of fonts on both sentiments, too!